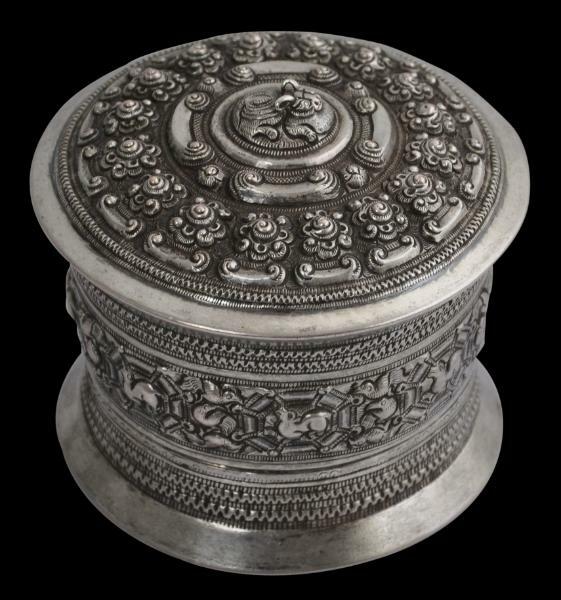 This chased silver betel box from the Shan people, of the Shan States of Eastern Burma, comprises a base, a cover, and an internal tray. The base sits on a flared foot which is mirrored by an equally flared rim around the top of the cover. The cover stretches down over most of the box. 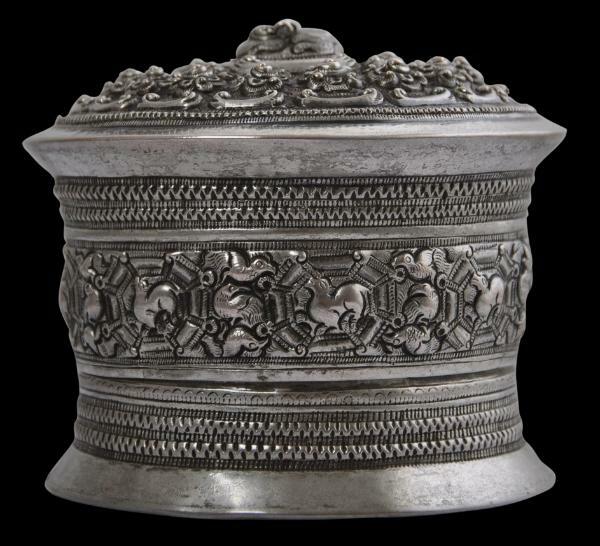 Its sides are decorated with Shan animal and bird motifs within zig-zag borders. 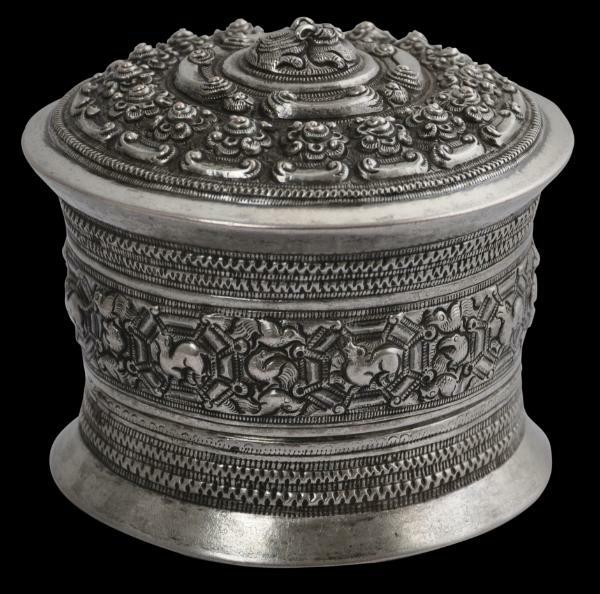 The slightly domed top is decorated with raised curls, not unlike the curls that adorn the heads of some Buddha images, and other motifs, around a central stylised crouching dragon-figure with applied silver horns. 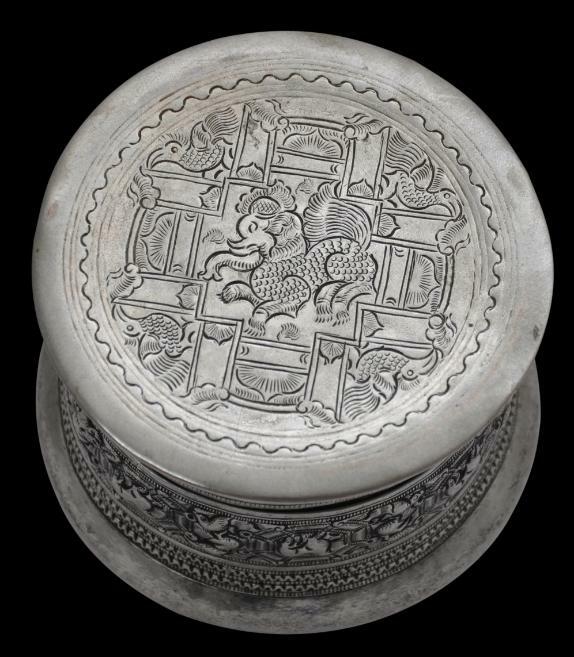 The base is engraved with a central mythical elephant/lion creature surrounded by a geometric structure filled with petal and bird motifs. 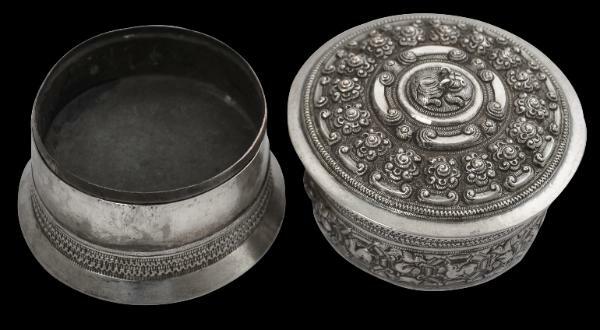 Boxes such as these were used to hold the components of the betel quid; betel being a mild social stimulant that was chewed. Similar boxes are illustrated in Lewis & Lewis (1984, p. 66). The box here is in fine, used condition. It has a fine patina associated with years of use. 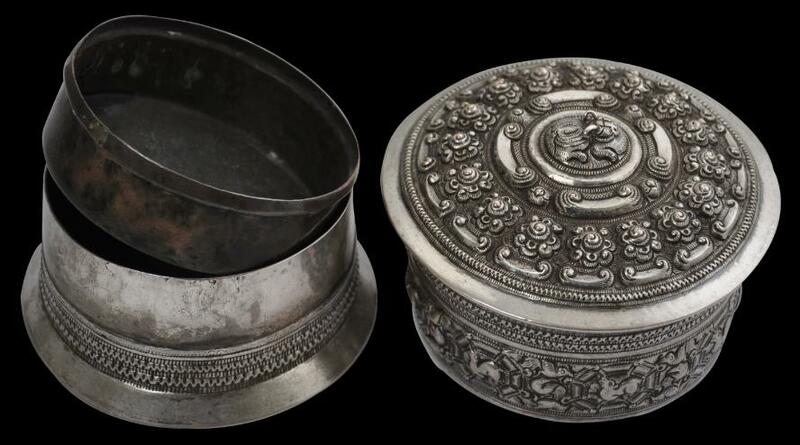 Importantly, it retains its internal tray (usually these have been lost or melted for their bullion value). 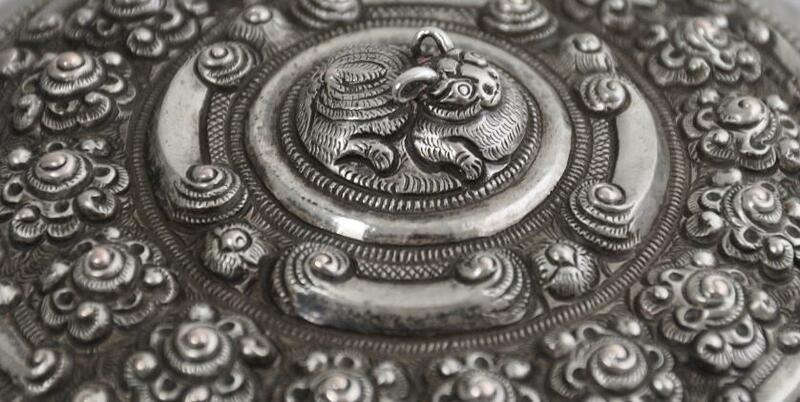 The tray is in its original, highly tarnished state.